Email marketing is one of the most important channels when it comes to strengthening your brand and bringing attention to your products. Engage, inform and sell with tailor-made email newsletters. Email marketing comes with many advantages – and is extremely easy to put into practice. Here you can find a complete overview together with useful tips. What can email marketing be used for? Email is a digital form of direct marketing. Email newsletters can be sent to share useful information, drive sales and build long-term customer relationships. 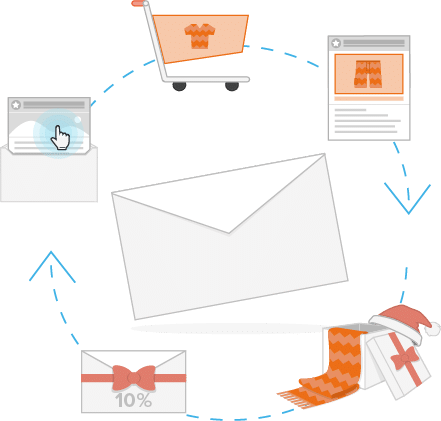 Unlike traditional mass marketing, email has the advantage of being highly targeted: contacts can be organized into different segments (based on location, purchasing habits, interests, etc.) and presented with relevant, interesting content. The more information you have about a recipient, the more precisely you can segment your target groups. 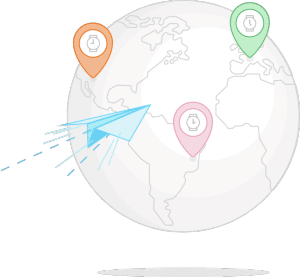 This in turn enables you to address each target group in just the right way – ensuring maximum email performance. For e-commerce and business owners, email is a crucial revenue stream. It is ideal for selling products from your online shop, reactivating existing customers and winning new ones. Email is a digital form of direct marketing. Sending mail by post or contacting customers by phone also counts as direct marketing – however, these methods are considerably more expensive. In terms of time and money spent, email offers much better value for money. Another advantage is that performance can be measured much more accurately. Thanks to analytics tools, you can see how many people received, opened and clicked your emails. It is also possible to track conversions – that is, how many people made a purchase as a result of your newsletter. What’s more, email marketing is scaleable. Want to send an email campaign to several million recipients in just a few minutes? No problem. In a nutshell, email is faster, more mobile and more efficient than traditional forms of direct marketing. Links to products and websites can be easily integrated, and marketing automation ensures maximum efficiency. To help you get started with email campaigns, we’ve got plenty of tips – keep reading to learn more. Summary: Professional email marketing is targeted, measurable and drives results. In order to launch successful email campaigns, you need a well-maintained list of email contacts. 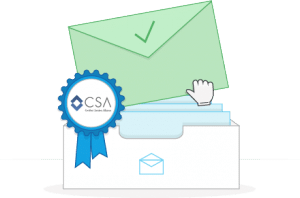 Well-maintained in this sense means that the email addresses have been acquired legally (the subscriber has opted in to receive your newsletter) and that the email addresses are active and up-to-date. 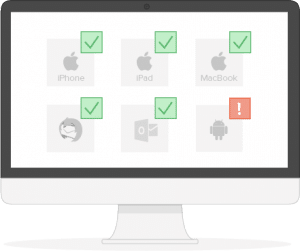 This means making sure that inactive or faulty addresses are deleted: learn more about bounce management here. 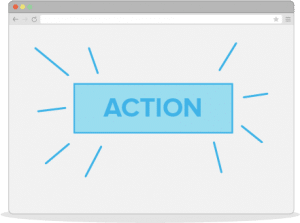 Integrate a newsletter sign-up form into your website – the Newsletter2Go free form generator tool can help you with this. Promote your free newsletter at different points in the consumer journey, for example when a customer makes a purchase. Run competitions and contests via your website or social media pages in order to generate addresses. With email, you can address both existing and potential customers directly – whether promoting a new product or running a discount campaign. Thanks to so-called lifecycle campaigns, you can make this customer contact even more efficient. This doesn’t mean sending mass emails to your entire address book. Rather, lifecycle campaigns send a relevant message to each recipient based on their behavior. For example: last purchase or most recent interaction with your brand or products. This ensures that each and every customer receives the right content at the right time. The more relevant your emails are, the more likely they are to drive conversions. With Newsletter2Go’s email newsletter tool, you can set up lifecycle and trigger campaigns quickly and easily. Some examples include: welcome emails, reactivation emails or birthday emails. However, email marketing is not only made for e-commerce. It’s also a key channel for clubs and associations – and is an excellent way to keep your members up-to-date. Likewise, email is crucial for online apps: send login data quickly and easily, set up automated system emails such as “reset password” or send order confirmation emails. Before planning an email campaign, you first need to build your contact list. A great way to acquire new customers is to embed a free newsletter sign-up form into your website. All users who subscribe to your newsletter using this form automatically receive a double opt-in email. This email contains a confirmation link which the user must click in order to verify their email address. The user will then be automatically added to your Newsletter2Go address book. Want to generate even more subscribers? Give users an incentive to sign up – such as a discount code, or helpful product tips. As more and more users favor smartphone over desktop, it’s essential that your emails also look good on a smaller screen. 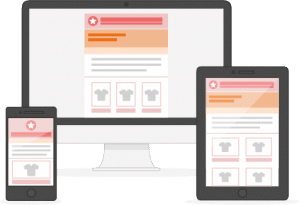 With our vast selection of templates, you can easily create responsive design newsletters which will automatically adapt to the recipient’s screen size. This ensures optimal display at all times, so the impact of your email is never lost. Test several different versions of your newsletter to see what works best. 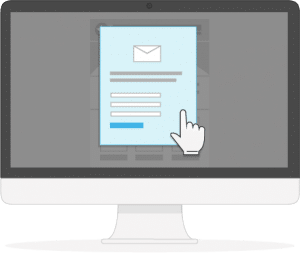 With our software, you can test different subject lines, email content and even sender information – with up to 9 different combinations possible. 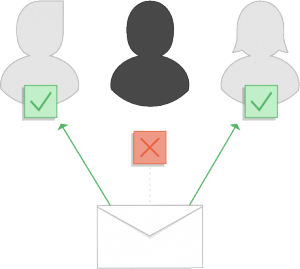 Each version is sent to a different group of recipients; the best-performing variant is then sent out automatically to your remaining contacts. This is a highly effective technique for improving your open, click and conversion rates. With Newsletter2Go, you can track all the most important KPIs. Get detailed real-time reports and view valuable email insights at a glance – including open rates, click rates, CTR, unsubscribes and more. Never lose sight of how your emails are performing, and get all the data you need to optimize your campaigns. We’ve also got plenty of free plug-ins for your existing systems. These can be set up in a matter of clicks and ensure maximum efficiency for your email strategy. Contacts are synced automatically on a daily basis, keeping your list up-to-date at all times. What’s more, products can be transferred directly from your online shop to your newsletter – in just one click. Creating professional sales newsletters has never been easier. 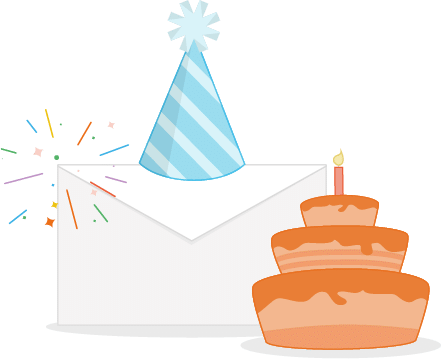 Newsletter2Go uses whitelisted servers to send your emails – meaning they are automatically classed as trustworthy. Want even better delivery rates? Use our spam test function to identify any potential issues before you press send. Our newsletter tool has everything you need to create and send professional email campaigns. From the drag-and-drop editor to easy contact import, real-time tracking and 1-click product transfer, everyone can use email to drive their business forward – no expert knowledge required! Newsletter2Go offers more than 30 newsletter templates. These are programmed in HTML and can be customized as you please. Our templates have already been tested in up to 36 different email clients, ensuring optimal display. Save time and effort with marketing automation. Create the relevant emails once and use an automation tool to make sure they are sent out at the right time. Emails can be set to dispatch based on behavioral triggers, or at a certain point in the customer lifecycle. One example could be a reactivation email, which helps to re-engage lapsed customers. To make email marketing even easier, we have put together a series of video tutorials. 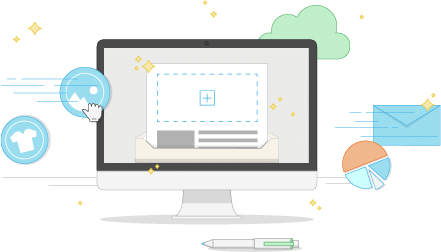 These explain all the most important features step by step, providing all you need to know to create professional, effective email newsletters. Build strong customer relations and drive sales. Newsletter2Go offers sales-oriented email marketing solutions for your online shop. You don’t need to be a marketing pro to enjoy this powerful yet intuitive software. Take advantage of the 1-click product transfer feature and copy product details from your store directly into your email. Send out professional email campaigns and manage your client accounts with Newsletter2Go. Offer our powerful email software to your customers as your own service solution. Join our partner program and earn with every new customer. Newsletter2Go offers a fair-priced solution tailored exactly to your needs. Send out professional campaigns and make the most of email marketing automation. Enjoy our high-performance dispatch system for maximum efficiency. Our email software sends 1 million emails per hour – so you can get things done. Integrate your dispatch infrastructure directly into your system. Achieve seamless integration with REST-API. Our email marketing software offers complete solutions for seamless account management. Manage your customers’ emails from one account with multiple address books. Send out free test emails to your clients. Sending professional email newsletters has never been easier. Import existing contacts all in one go, create emails in your own design and collect new subscribers with our sign-up page. Use a whitelisted email marketing software to make sure that your emails go straight to the inbox – rather than being marked as spam. This has a direct impact on your delivery rates. Look out for the Certified Senders Alliance or Return Path logos (Newsletter2Go is a certified member of both). We advise against sending emails via your own server, as this cannot guarantee optimal delivery rates. Sender information consists of the subject line, sender name and sender address. This is another opportunity to convince the recipient to open your email. When it comes to the subject line, be creative. Use interesting language that captures the reader’s attention and makes them want to read on. Use A/B testing to find the most effective subject lines for your audience. This feature is free for all Newsletter2Go users. Consider your audience: are you targeting B2B or B2C? As a general rule, the optimal send time for B2B users is Monday to Friday, in the morning. B2C customers, on the other hand, are more likely to be online in the mornings or evenings from Monday to Sunday. 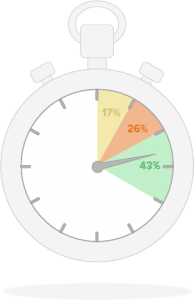 To find the optimal send time, try sending your emails at various times and see how the open rates compare. When creating your newsletter, pay attention to the dimensions. The width should not exceed 600 pixels. The most important content should be featured in the top half of the newsletter, so that the user doesn’t need to scroll down in order to see it. When formatting your newsletter, it’s important to think about different email clients. With Newsletter2Go, you can test your email display in more than 30 email clients. You can then rest assured that your email displays correctly for all recipients. What’s more, we have over 50 free responsive design templates to choose from. 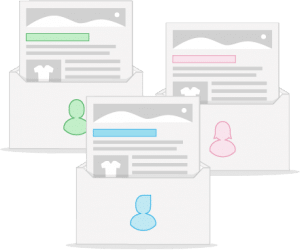 Insert personalized design blocks into your newsletter and present each recipient with custom content. This enables you to address several target groups with one single email. Add images, buttons and relevant text to grab the reader’s attention. More than 50% of emails are now opened on a mobile device – so responsive design is a must. This ensures optimal display and readability on smartphones and tablets. Send the right email at just the right time with lifecycle campaigns – and automate the process! Increase your turnover and boost customer satisfaction al in one go. Newsletter2Go makes it easy to set up lifecycle campaigns for each point in the customer journey. 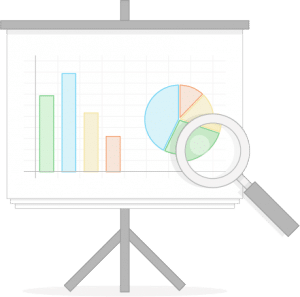 Every time you send an email campaign with Newsletter2Go, our software tracks the most important KPIs and automatically generates real-time reports. These are always available via your Newsletter2Go account, and provide all the insights you need to optimize your campaigns. Click rate: The number of recipients who click on a link within your email. To improve the click rate, be sure to optimize both the email content and visual display. Conversion rate: Always keep an eye on your newsletter conversion rate. However, this tends to be influenced primarily by your online shop or relevant landing pages. Open rate: The total open rate tells you how many times an email was opened altogether. A well thought-out subject line can help to increase the open rate. Click-through rate (CTR): The proportion of recipients who, after opening the email, also went on to click on a link. This KPI can help you to consider your click rate in relation to your open rate. Curious? Launch your first email campaign today!